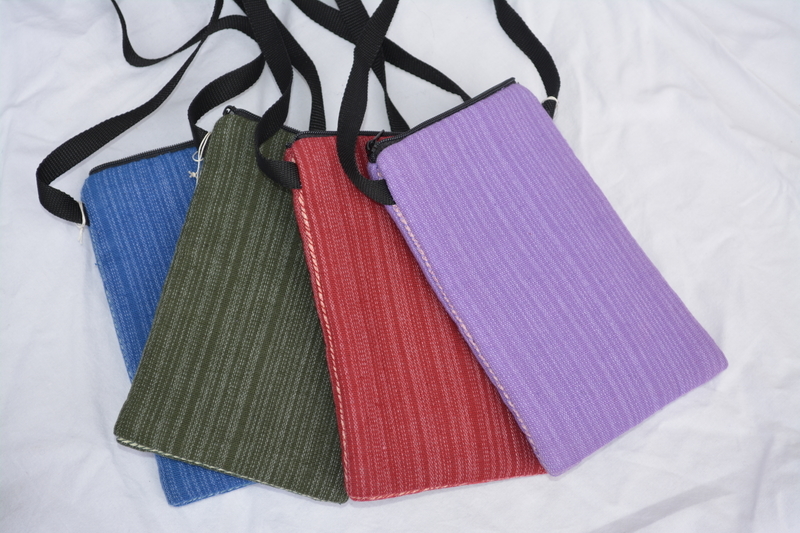 This practical and functional phone bag was designed and made by artisans of ThaiVillage. ThaiVillage supports young artisans and tribal people groups threatened with exploitation in Northern Thailand by providing vocational training and employment on a long term basis. This partnership fosters economic self-sufficiency with a generational impact within families. Each artisan is actively encouraged to reach their full potential in all aspects of life. This phone bag is large enough to carry and protect even large phones. It is padded and lined for extra security and also has a zipped closure on the top. Each bag has a long strap making it perfect as a carry bag for keys, ipod, glasses etc. when walking. Measurements: 10cm wide x 18cm high.